So-called "ethnic food" is a very broad category—considering America's pride in its foreign ancestry, it's actually a wonder the term's bothered with at all, especially since it is also sometimes used negatively. "Ethnic" food can include everything from rare and exotic dishes prepared in fancy restaurants, to cheap—and later regretted—piles consumed while drunk and sitting on a curb. And it doesn't matter if we're talking about Mexican, Chinese, Indian, or Italian food, as all offer examples at both ends of the spectrum. But whether you pay a premium for well-crafted table-service food, or scrabble for change to line your stomach against a hangover, the funny thing is a lot of what you pay for isn't really ethnic at all! Here are a few popular dishes that, when they arrived on these shores, may have been sailing under a false flag. 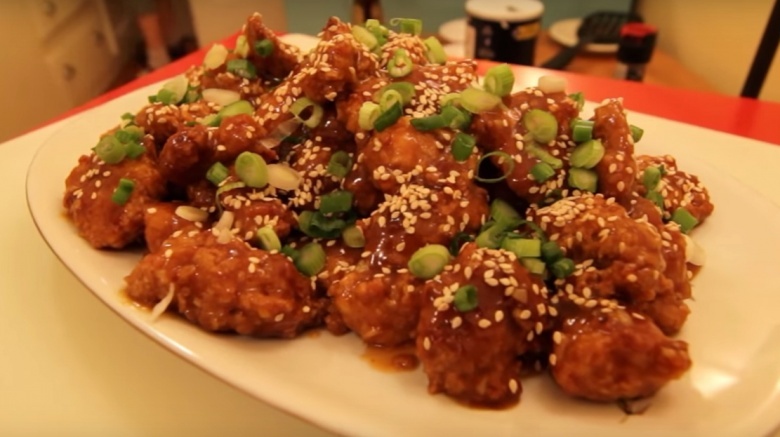 As with a lot of the other dishes on this list, General Tso's Chicken does have some link to the claimed country, but is nevertheless distinct from anything you might find there. According to an article in the New York Times, the origins of this dish can be found in Taiwan in the aftermath of the Chinese civil war. Famed chef Peng Chang-kuei, who fled there after the defeat of the Chinese nationalist forces in 1949, is credited with its invention, though he made his in a more traditional Hunanese style, notably lacking sweetness. It wasn't until Peng moved to New York in 1973 and opened a restaurant, that he was inspired to twist the recipe slightly to better suit the American palate—thus, unsurprisingly, he added so much sugar. Henry Kissinger, the American Secretary of State, came across the dish when he was visiting the United Nations in New York, and his favor helped popularize the dish and ensure its legacy would spread both across the country and into the cavities of millions of sugar-loving Americans. 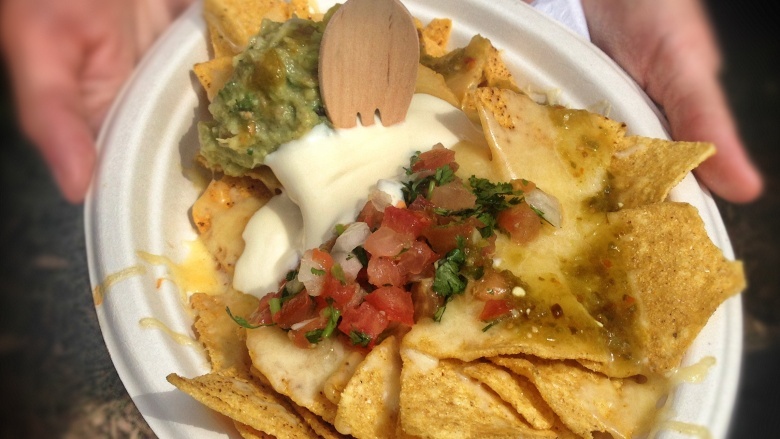 Nachos were invented in Mexico, but only on a technicality. Plus, while they were invented by a native Mexican, they weren't eaten by them. The creator, Ignacio "Nacho" Anaya, was working in a restaurant in Piedras Negras, northern Mexico, when a group of wives from a Texas army base came in to eat. The problem was, there was no chef in the kitchen, only poor Ignacio, who improvised by throwing together literally whatever he could find. Instead of calling it "Whatever," however, he called it Nacho's Especiales. The recipe soon grew in popularity on both sides of the border, but they didn't really hit the big time until the late-70s, when NFL announcer Howard Cosell ate and talked about them to fill dead airtime during a Dallas Cowboys game. The nachos must have been the most interesting thing about that game, because people immediately took notice, and soon nachos were being eaten across the country. Although people like to think the hot dog came from Germany—Frankfurt to be precise—they would be wrong. There is nothing about the classic American hot dog in a bun that anyone from German-speaking countries could (or would want to) claim as their own. Germany and Austria are famous for sausages, yes and Frankfurt and Vienna (Wien in German), did give their names to the frankfurter and wiener, respectively. 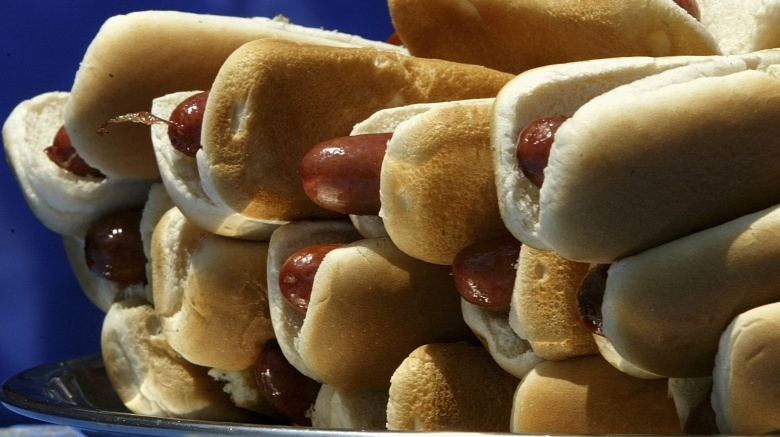 But the form of the modern American hot dog, and placing it in a bun, are entirely American inventions. Several people are credited with this food innovation, but the most common story credits Charles Feltman, a German immigrant, with coming up with the idea in 1870. Another, slightly odd story lays the blame for the bun on Anton Feuchtwanger, who sold hot sausages on the streets of St. Louis. He reportedly kept gloves for his customers to wear while eating his heated meat tubes, but was losing money on the gloves that the customers didn't return … so he put the sausages in buns instead. Hopefully they both benefited from the idea, because no matter who invented it, it was probably the best idea before sliced bread. 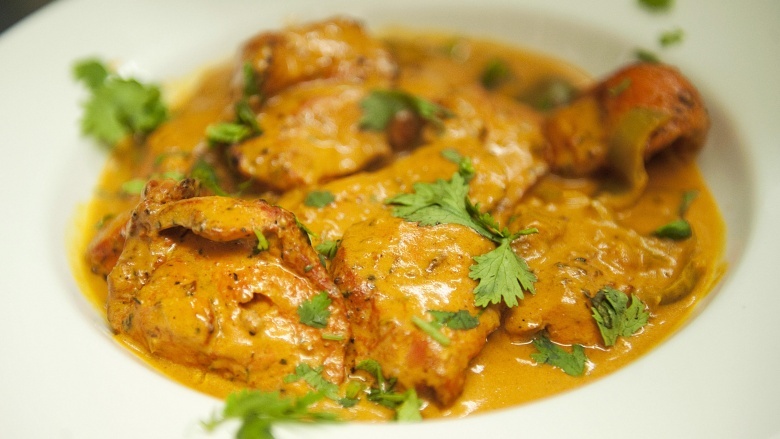 Despite its amazing popularity in the UK, Chicken Tikka Masala definitely started life in India. But there's nothing like "owning" a country if you want to get to know it, and so over time, the British eagerly adopted many aspects of Indian culture as their own, including what was then known as the Chicken Tikka. According to the much-disputed history, a patron entered the Shish Mahal restaurant in the west end of Glasgow in 1971 and ordered a Chicken Tikka, but sent it back because it was too dry. The Pakistani chef, Ali Ahmed Aslam, made up a sauce on the spot comprising of a can of tomato soup, spices, and yogurt—just like that, the Chicken Tikka Masala was born. Despite a failed attempt in 2009 to have the dish recognized by the European Union as a unique UK creation, and irrespective of its actual history, it is undeniably one of the country's most popular meals, with 25 million portions consumed in 2009. For anyone seeking evidence that the British have adopted the masala as one of their own, 25 million portions sure tikkas a lot of boxes. Like the Chicken Tikka Masala, there are several claimants to the title of creator of the chimichanga. But one thing's for sure—it happened in Arizona, not any country where the word "chimicanga" might actually be a word in their native language. One report has Deadpool's favorite fuel dated as far back as 1922, when a burrito was accidentally dropped into a deep fryer. Another places the creation in 1946. 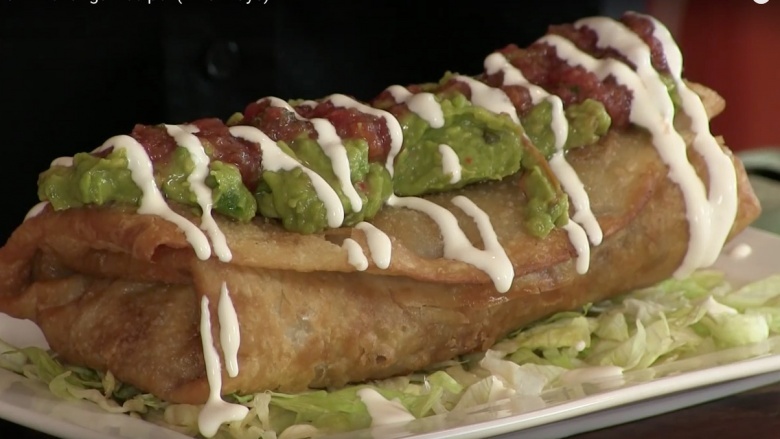 But whatever the truth, the fact remains that the invention of the chimichanga was inevitable. After all, burritos are great, and Americans believe frying anything edible automatically makes it greater, so a burrito was always going to end up in a fryer somewhere, as sure as water flows downhill. 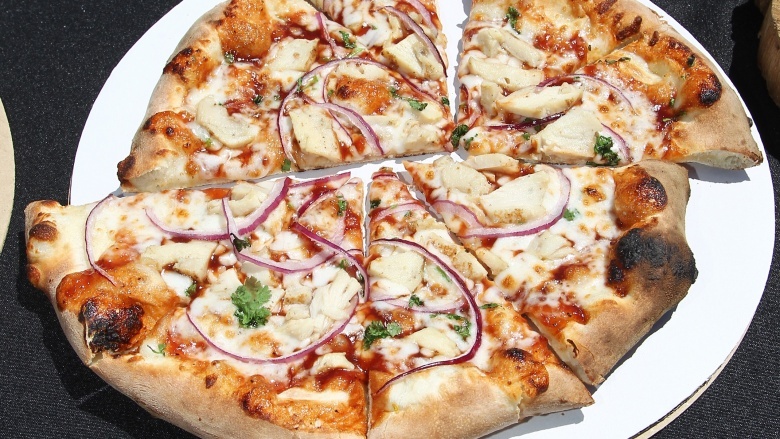 Pizza is one of the all-time favorite American foods, and it's always available in restaurants, both Italian and otherwise. But while pizza did come to the US via Italy, it didn't start there. It can actually trace its lineage back to Greece, though the recipe probably wouldn't have included any tomatoes. Basically, Italy adopted a good idea from a neighbor, and added tomatoes plus a few other local ingredients, to create a dish Americans fighting in World War II would fall in love with and take home to meet their mothers. Upon arriving in the US, the pizza soon discovered the polyamorous potential of its new country, and can now be found in the company of basically any topping we can think of, and which would never have occurred to chefs living around the Mediterranean. 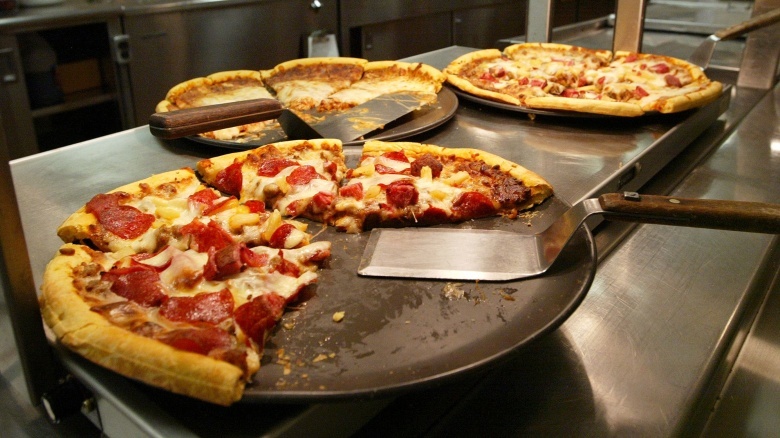 From those humble beginnings, and with a bit of entrepreneurial experimentation, the pizza has flourished to become one of America's favorite meals. Not bad going for a poor post-war immigrant flatbread from southern Europe.